Shop Physicians Formula Needle-Free Lip Plumping Cocktail Pink Crystal Potion 2214 (.1 oz. ).1 oz. Shop Revlon Kiss Plumping Lip Creme 1 505 Apricot Silk (.25 oz. ).25 oz. Give your lips a boost of confidence with plumpers. 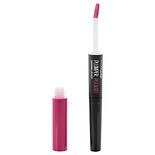 If you have small lips and are looking for a simple way to increase your pucker size, lip plumper is the answer to all of your problems. 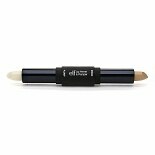 Lip inflation is made easy, thanks to brands like Sally Hansen, e.l.f. and L'Oreal that offer great products to help you plump up your lips in no time. Whether you are on the hunt for a dedicated plumping product or want a cosmetic gloss that contains plumping power, there are plenty of options for you to consider. It is natural for your lips and skin to change as you age. Combat wrinkles and the effects of gravity with simple resources like liquid collagen and powerful cosmetics that hide small imperfections. Armed with an arsenal of beauty products, you are certain to feel more confident to face whatever comes your way.